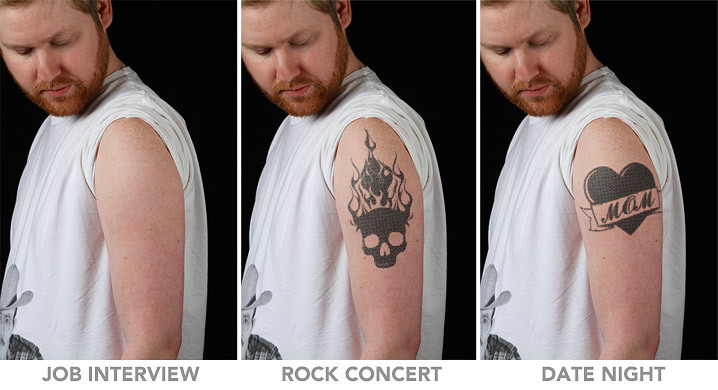 NOTE: To everyone who keeps emailing us to reveal "the truth" about this product, please conserve your time and effort; trust us, we are well aware of the month and day on which ThinkGeek released their groundbreaking tattoo technology. There's no arguing it: cool tattoos are cool. But some of us aren't ready to let another human being repeatedly pierce our flesh with a needle and permanently inject it with ink when we aren't 100% sure we're going to be as passionate about zombie bunnies 20 years from now as we are today. 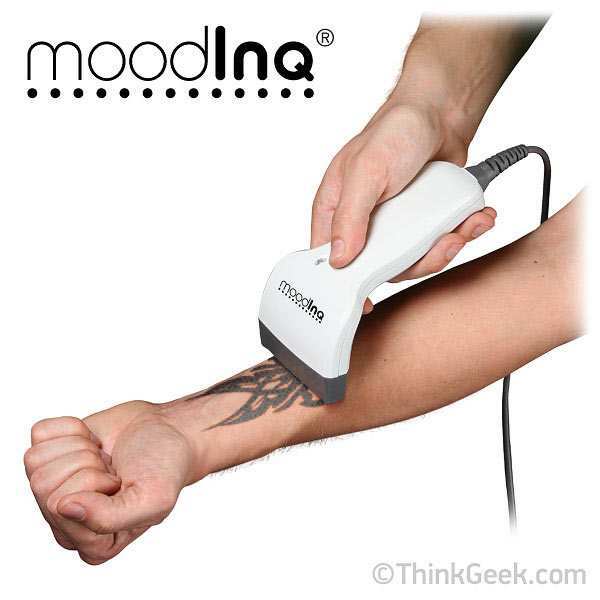 This is where the moodINQ Tattoo System finds its niche. 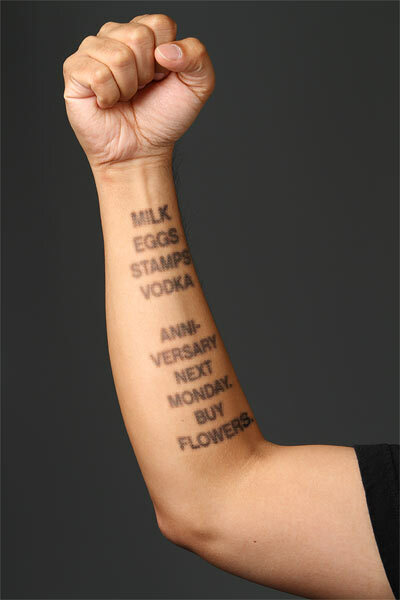 MoodINQ gives those who are certain they want a tattoo, but are waffling on the "of what" part, the opportunity to get inked with one design, and then magically change it to another as the urge arises. So what begins as a skull & crossbones can instantly shift to a tribal sign with the wave of moodINQ's special wand over its surgically implanted E ink canvas. More specifically, moodINQ jives as follows: the good people at Think Geek partnered with leading physicians and technicians in the cosmetic surgery industry to derive and implant an E-ink grid, or canvas. Canvases are primed for anywhere on the human exterior, and are appropriately sized and shaped to the body part implantees would like to ink. After a short healing period (usually 2 to 3 days), the newly tattooed can begin using their included moodINQ software to turn epidermal canvases into a sort of digital picture frame, rotating from one striking image to the next.